It would be difficult to overestimate how much Peggy’s teachings have changed my interactions with my clients and within my own life. 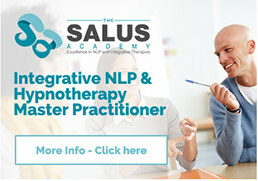 After finishing my coaching qualification, I decided to take it further and I went on to study at the Salus Academy as a Master Practitioner in Person-Centred NLP and Hypnotherapy. Whilst training, I knew I was learning valuable tools from an experienced professional, but it was only in seeing the results in my own clients that I realised her training and approach were so exceptional and I understood how fortunate I was to have had her share her wisdom with me and other students. NLP offers a new paradigm for change that combined with Hypnotherapy works at a very deep level, bringing about powerful changes very quickly. This pace can be daunting for clients – but her person-centred approach ensures that they feel supported and in control throughout. She is a fantastic trainer, extremely knowledgeable with a wealth of experience working with clients that she happily shares. She is also quite fun, very open and approachable and offers fantastic support during and after the course.